Classic rib dress over the calf socks. 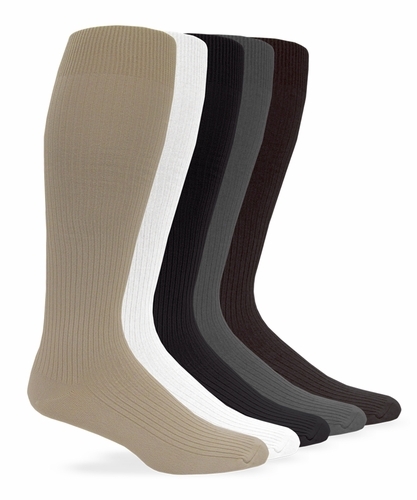 Soft, durable nylon socks with color retention. Rib top with lycra allows optimal stay throughout the day. Made in the USA!